November 13th, 2017 | News and Events, Wheaton World Wide Moving. 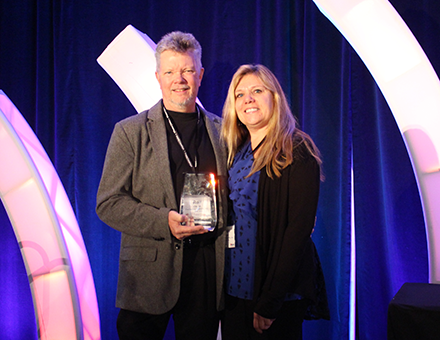 INDIANAPOLIS – Announced recently at Wheaton’s 63rd Annual Partnership Conference in Indianapolis, Indiana, Capital City Transfer, Inc. was awarded top agent honors as Wheaton World Wide Moving 2017 Agent of the Year. The award is given to the interstate agent for Wheaton World Wide Moving that exemplifies founder Earnest S. Wheaton’s philosophy of putting customers first and the characteristics of quality, professionalism, empathy for customers, fellow agents, drivers and Wheaton employees. Capital City became a Wheaton agent in 2009 and has since earned numerous sales, hauling and quality awards, including five Agent of the Month awards. For more than 45 years, these Verona, Wis.-based movers have lived up to Wheaton’s “customer first” philosophy while serving and satisfying customers throughout the state of Wisconsin. Their professional staff of account managers, packers, loaders, warehouse specialists and expert drivers all have extensive moving industry experience in both residential and corporate relocation. Some of Wisconsin’s largest employers are counted among Capital City Transfer’s corporate customer base. In reviews, customers remark that Capital City is thorough and honest, often going above and beyond to ensure a positive moving experience. Capital City is located at 204 Industrial Drive, Verona, WI 53593. They can be reached by phone at (800) 491-2270 or online at http://www.capitalcitytransfer.com/.